Visit Our Jeep, RAM, Dodge, FIAT and Chrysler Service Center at Tri-Star Indiana, serving Kittanning, Punxsutawney, Ebensburg, Apollo, PA, and Cambria, PA.
Keeping your vehicle going strong for many miles is the goal of practically every driver. You can accomplish when you make regular trips to our Jeep, RAM, Dodge, FIAT and Chrysler service and repair department. 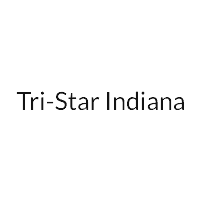 We serve those in Indiana, and the surrounding Kittanning, Punxsutawney, Ebensburg, Apollo, PA, and Cambria, PA, areas, with a team of highly-trained technicians who know all the inner workings of your vehicle and have the latest tools and equipment here at Tri-Star Indiana. With our level of expertise, you know you can go right to the source to have your maintenance and repairs completed. With a multitude of services here, you can always keep your vehicle going, and that’s why we encourage you to schedule an appointment online today or give us a call, and we’d be happy to help you as soon as possible, and keep your vehicle running at its best.